Official GBULLION Blog: New tariffs on sale and purchase of gold through GBULLION! 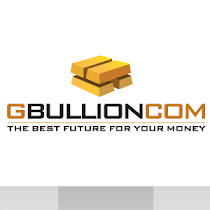 New tariffs on sale and purchase of gold through GBULLION! Starting from the 15th of October 2010, tariffs on sale and purchase of digital gold in GBULLION will change. The amount of commission paid when buying or selling gold will depend only on user's tariff plan. All users will be assigned to the Standard Plan by default. In order to transfer to the Advanced Plan, user must obtain a special welcome-coupon (only available from GBULLION's Independent Consultants) and activate it.